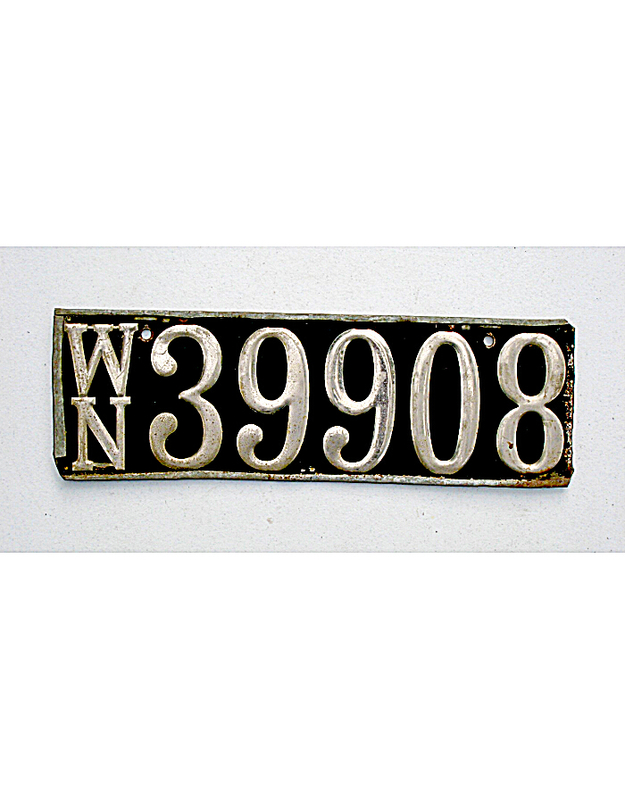 The State of Washington first required automobile licensing statewide in 1905, and continued the pre-state system of registration through the end of 1915. 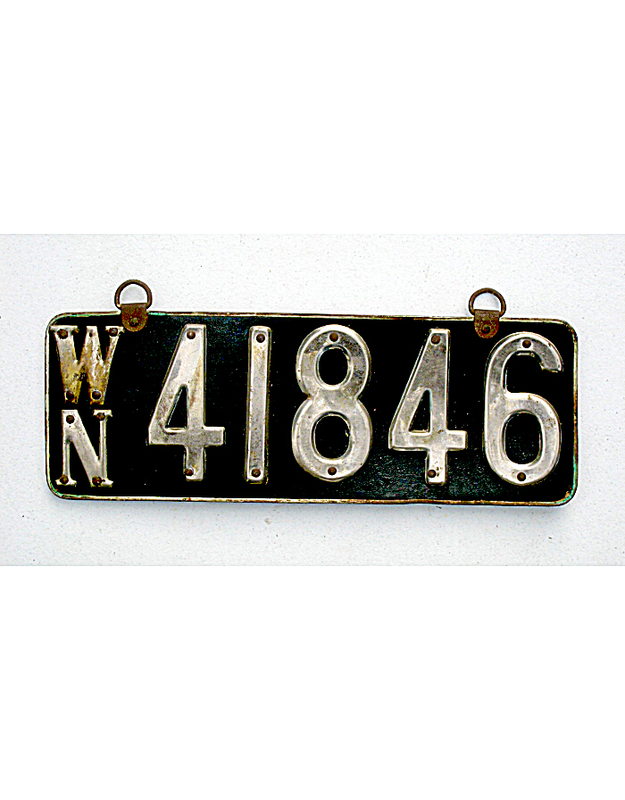 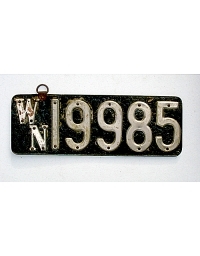 Official state license plates were issued for the first time in 1916. 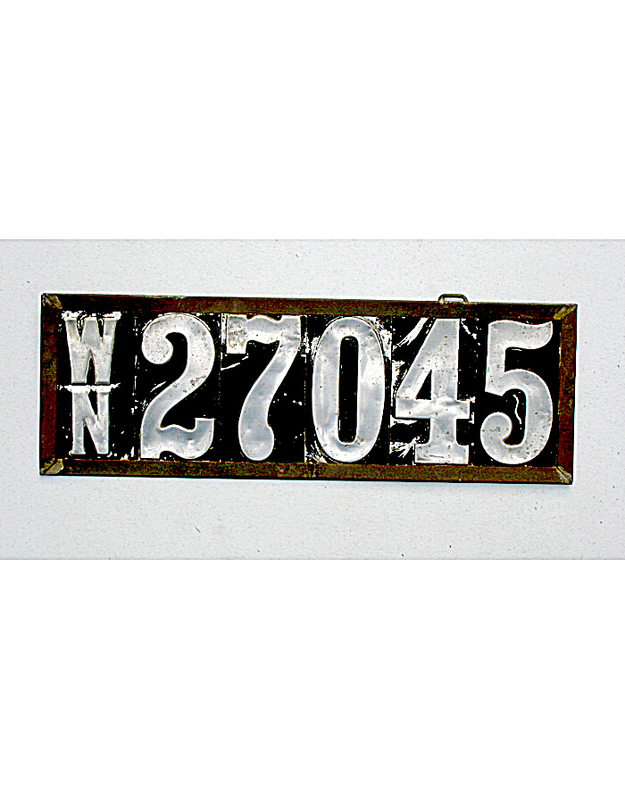 Over 40,000 automobiles were eventually licensed by Washington owners in the ten year span. 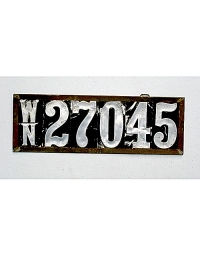 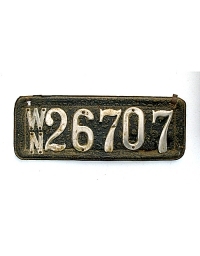 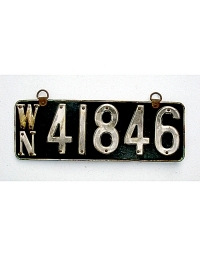 By far the most predominant type of plate was leather with aluminum house numbers affixed, but many other materials were used, as typical of most states. 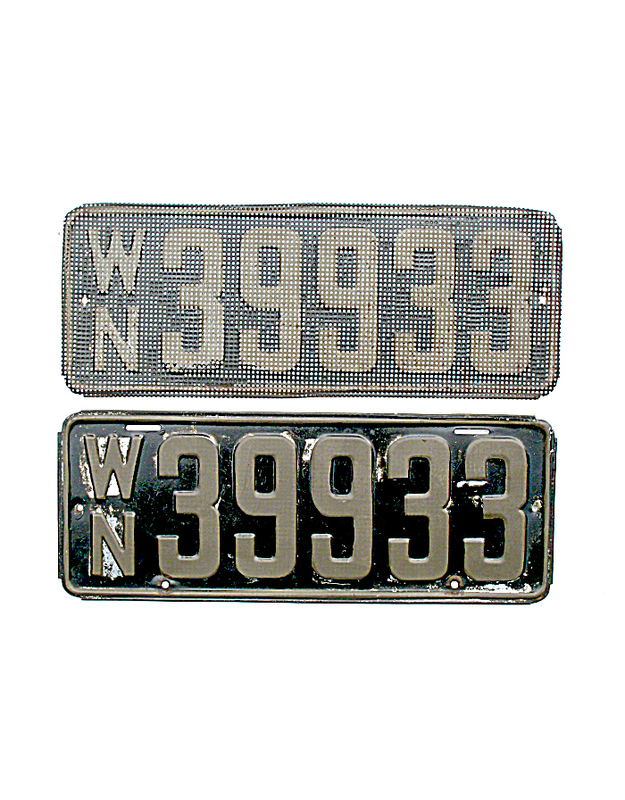 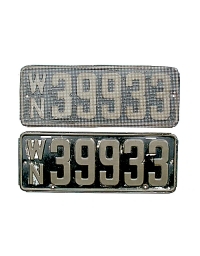 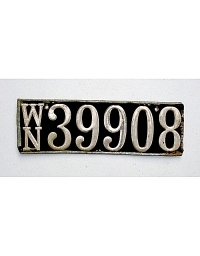 A local supplier in Washington apparently made numerous plates of hard pressed board with chrome-plated digits riveted on, as these are also a more common type. 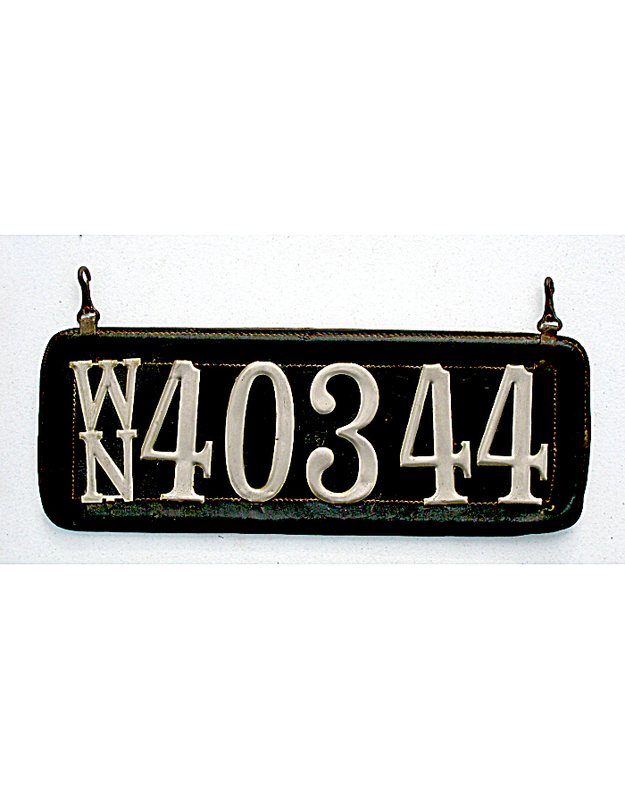 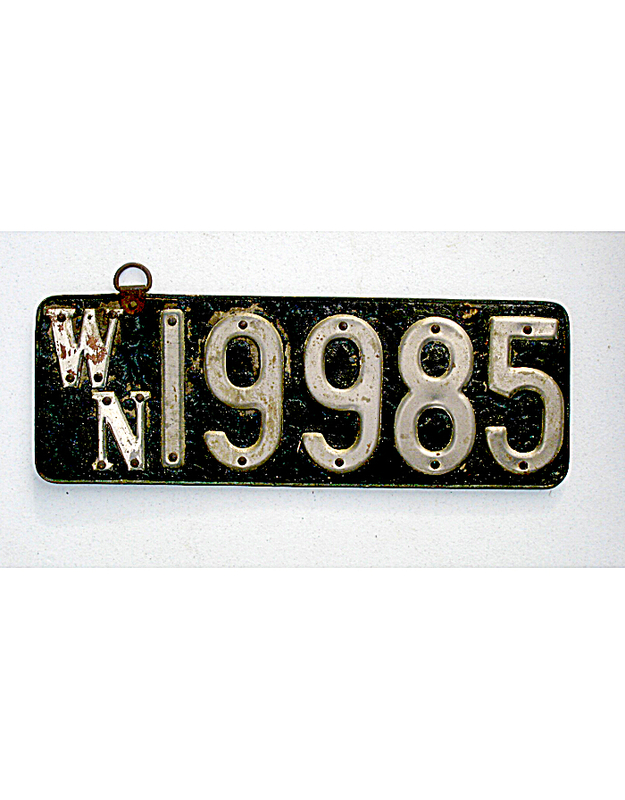 Washington required the initials WN to be incorporated into the license plate design for state identification. 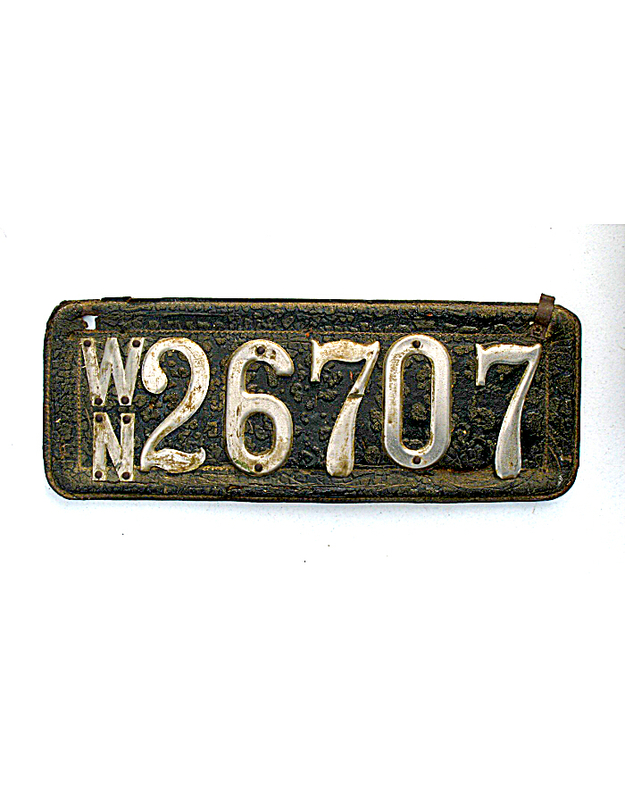 No cities or towns in Washington required local auto licenses in the pre-state era.